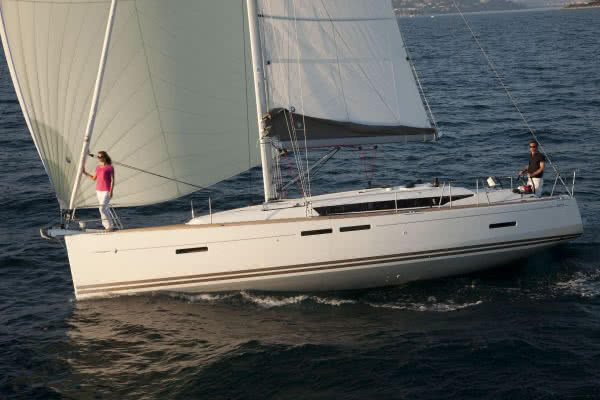 Pinnacle’s Jeanneau 409 is a contemporary yacht with sleek lines and outstanding performance. 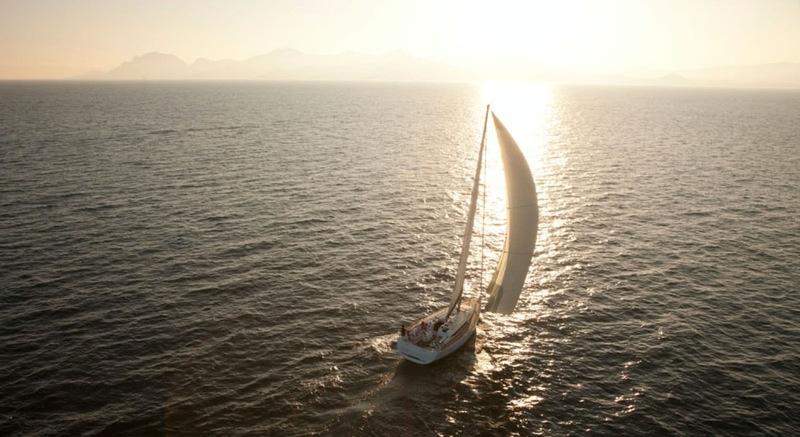 Jeanneau placed sailing characteristics first to create the 409 – a yacht with superior boat handling capabilities, great speed and stunning aesthetics. 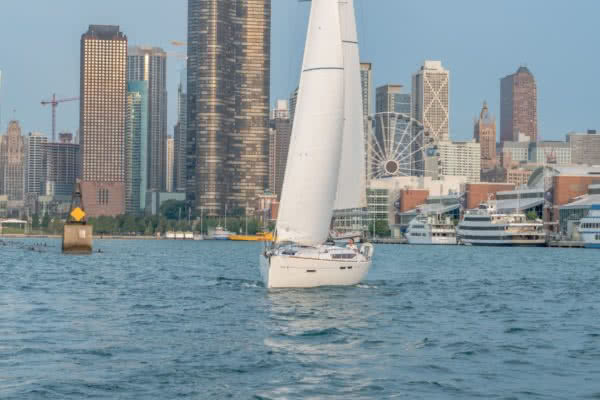 At 41 feet of overall length, a 13-foot beam and a 5-foot bulb keel, the Jeanneau 409 sails well in any seas. 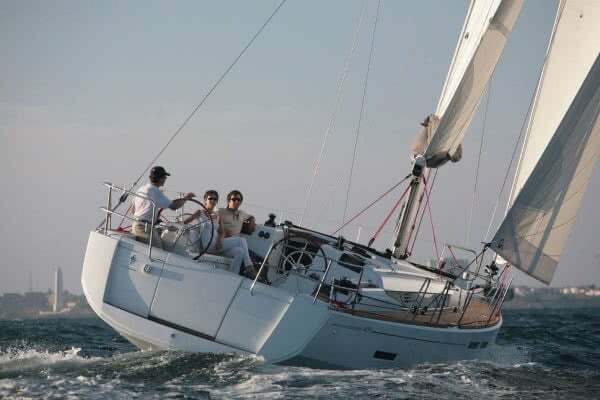 The yacht’s state-of-the-art rigging includes an in-mast furling mainsail and furling jib that are both entirely controlled from the cockpit by four Harken winches, providing maximum safety and convenience. The size of the 409 makes her very comfortable on deck. Forward she has much area for sun bathing and moving about. Twin helm stations with leather wrapped wheels are mounted port and starboard. Cockpit seats and floors are inlaid with nicely finished teak. A folding swim platform allows guests easy access to the water. 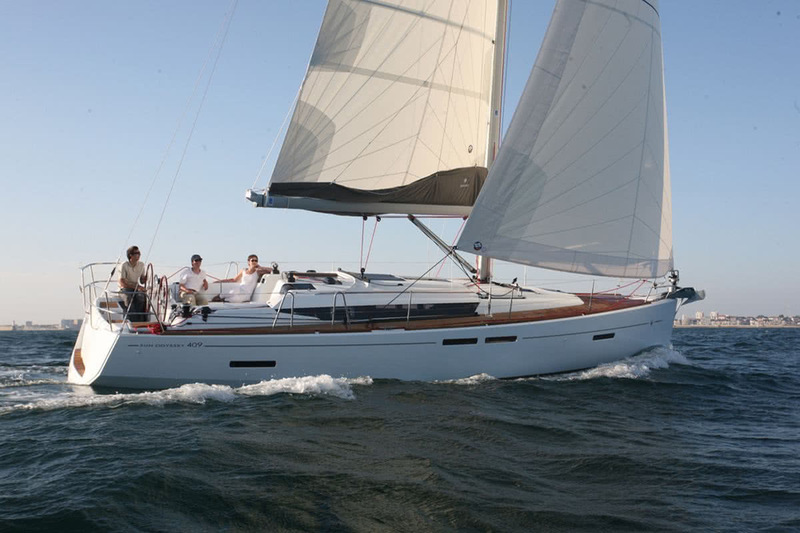 The Jeanneau 409 incorporates high quality B&G instrumentation. State-of-the-art wind, speed and depth gauges are integrated to the color cartographic touch-screen plotter and master control unit mounted at the helm. 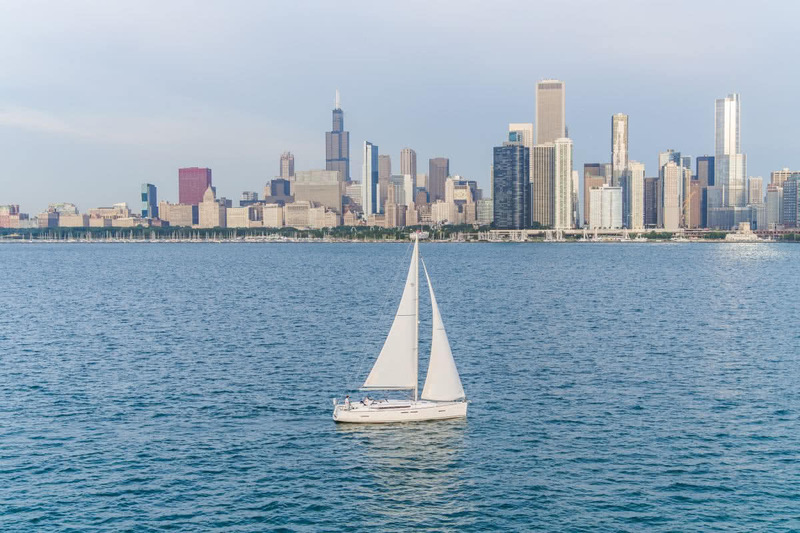 The yacht is also equipped with a B&G autopilot. An electric bow thruster provides exceptional handling around the docks. The yacht also moves nicely under power with a 40 HP Yanmar Diesel and modern Sail Drive transmission. The Jeanneau 409 is breathtaking below deck. 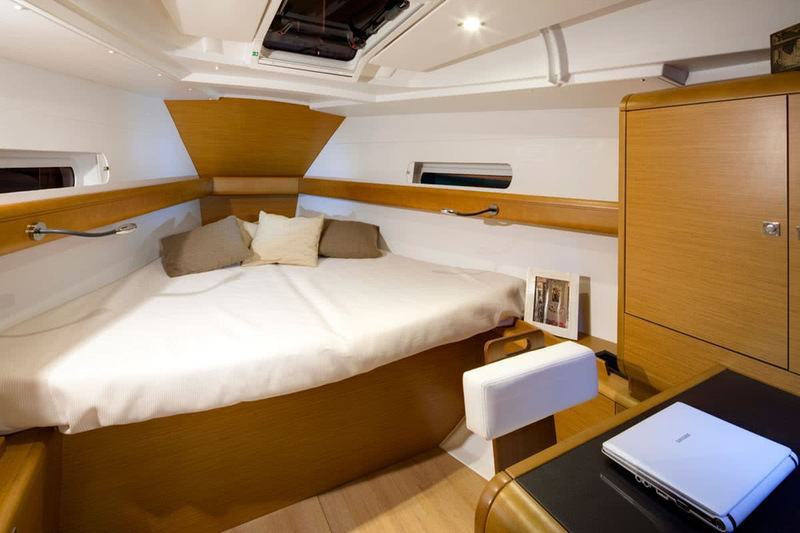 She has two sleeping cabins forward and aft with abundant cabinetry and large hatches for natural light and ventilation. The vessel has a sizable head. 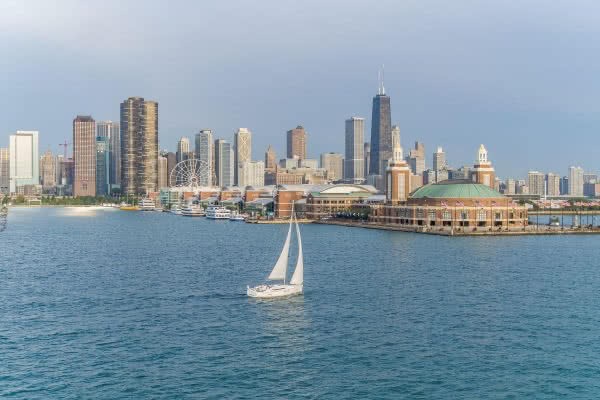 The yacht is also equipped with air conditioning and heat. The main salon provides a large table with u-shaped seating for six. More seating is found on the port side. A NAV station desk also lays to port. Her sizable galley provides a two-burner stove, oven, refrigerator and a double sink with hot and cold pressure water. The galley is stocked with quality wine glasses, plates, silverware, cookware and utensils. 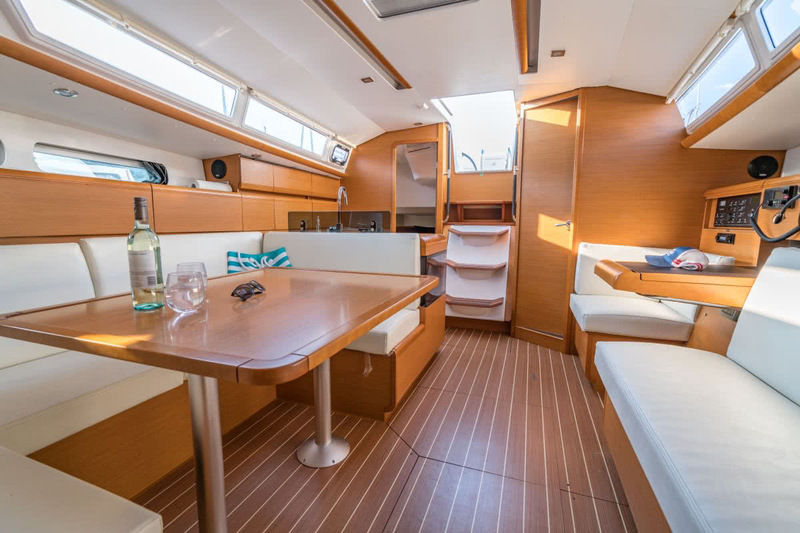 Abundant teak cabinetry surrounds the salon and galley areas, and the floor is holly and teak. Natural light fills the boat from many ports and opening hatches.